YOU GOT TO ADMIRE ANYONE who throws over their corporate chains and Park Cities roots to make music ‘cause the got to…and take one day at a time. Okay, it was a family corporation selling toys but still it was loads more certain than the fates the music gods usually have in store for those who tempt them, especially for more mature players line Ross Vick. He bailed and regrouped with his brother Patrick and sister Karen to form TrueHeart. The group’s self-titled album is recently out and showcases Ross’ songwriting and the group’s best facet—sweet harmonies and lush love songs. The blue-grass boys will quickly tell you there is nothing like sibling harmony and they are exactly right. Of course, singers need lyrics for the songs to mean anything and Ross and his family write and co-write some very philosophical and searching lines. There are some smooth tracks and some rock-outs and you can hear many of the TrueHearts’ influences including the Beach Boys (whom they have opened for), Crosby-Stills, the Beatles, Steve Miller and Boz Skaggs, the Carpenters and Burt Bacharach. Very strong covers of “Getting Better” and “Love the One You’re With” mix well with the originals as the band attempts to appeal to “the Baby Boomers needs. We’re here to offer something familiar but new and fresh with slices of our generation’s life to share and hold onto,” says the sixth-generation Texan Vick. Their great-great- granddaddy signed the Great State’s divorce declaration from Mexico. He hooked up with Grammy-winning engineer Phil York of Irving, and the record is pristine in its parts. The Grammies have recognized Ross’ earlier “One by One” as a “contender” in the categories of Pop Vocal Album of the Year. His “What is Mine” record also received notice in the categories of Best New Artist, Song of the Year and Record of the Year. You can get a copy by contacting truehearttexas.com. I’m having a little bit about a problem telling you about THE ROAD by Trueheart. 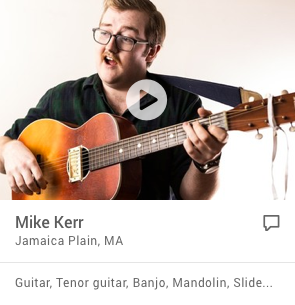 Trueheart is the brainchild of Ross Vick, who handles songwriting, vocals, and rhythm guitar chores for Trueheart. Vick left a sales and marketing gig to follow his dream and the first result is THE ROAD, a twelve song set that hews to a well-crafted if fairly predictable formula that doesn’t take chances. My problem is that THE ROAD is aimed right at the 22 to 35 year old female demographic, and doesn’t leave an inch of wiggle room for the guys out there. Nothing wrong with that; Sick Of It All, for example, aims for a similarly narrow audience, white males between 16 and 30 who missed the bus to college (as well as a small number of females that you probably wouldn’t want to bring home to mom). It’s just tough to relate to. Think Rupert Holmes, Kenny Rankin, Air Supply, or David Gates. Bland guitar/organ/drum arrangements, but very nicely done, even pretty in spots, but nothing that will stir the soul of the savage male beast. “Goodbye” is a break up song sung by a guy, but written from a woman’s point of view. Guys…when you break up with someone, how do you do it? Do you start running down all of the wonderful things yo u’ve done together but say it’s not working, or do you just not call anymore? Hey, I tried the “Goodbye” method once, and it didn’t --- doesn’t work. But it’s what women think they want, and Trueheart taps right into it. Vick has an incredibly pleasant voice, and he obviously knew what he was doing when he dropped his office gig. Let me be crystal clear on this: THE ROAD is not a project that sounds like your next door neighbor had a brain fart, quit his job, strapped on a guitar, and became the next Wild Man Fischer. Vick has all the chops --- songwriting, vocals, and guitar --- and he surrounds himself with some competent players to fill out his sound as well. It’s just that you’re not gonna hear any of these tracks as background music to the next John Madden video game. 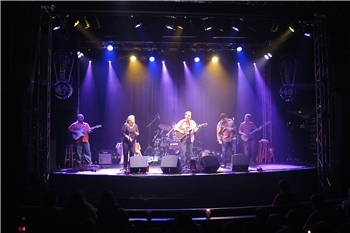 Trueheart is a unique band in today's music world. They are not only acknowledging the soft rock of the 70s, but they are also reinventing it with a contemporary twist. If you like feel good music along the lines of Dan Fogelberg, Seals & Crofts, America, or Bread, this will be right up your alley. What hits you right away from the very first track, Still Time, are the tight, dense harmonies of no less than four vocalists. You just don't hear that anymore. Many bands have trouble finding one person who can carry a tune. As a singer myself, I appreciated Ross Vick's simple vocal style too. It is clear, unaffected, and perfect for this style of music. I don't know if he listened to a lot of the Moody Blues, but I definitely got a Justin Hayward vibe. Just listen to how he sings the chorus of Stay Right Here and you will see what I mean. The production is excellent as well. Gary Leach gives us a clear, full sounding record that just jumps out of your speakers effortlessly. There are many radio ready songs on this CD. From a glance at their website, www.truehearttexas.com, I see that Plan For Peace and The Road are already climbing the charts as we speak. Don't be scared away by the soft rock label though. Lay Me Down and Where Are You? will get you up and dancing with some nice lead guitar work and there is a jazzy/funky vibe on My Time that reminded me of early Moxy Fruvous. I'm looking forward to hearing more from Trueheart in the future. Hailing from Texas, TrueHeart evokes memories of innocent childhoods, humming campfire songs with friends. There is an inviting, warm sensibility to this group that is felt through their songs. It's classic rock in the truest sense of the word, taking listeners back on waves of nostalgia. The covers of the Beatles' "Getting Better" and Todd Rundgren's "I Saw the Light" actually serve an artistic purpose and not just a commercial one. First of all, they are performed with a deep-seated love for the material; secondly, for baby boomers they craft a bridge between the past and the present, showing us where they came from and impressing us now with impeccable tunes of their own. The songs reflect a hopeful attitude that is very '60s, a long distance from much of today's fatalism. "Ain't Life Great" sums up TrueHeart's state of mind; in this post-9/11, post-Katrina world, it's a breath of fresh air to hear a group that isn't afraid to sing about the good things that the world has to offer. As welcome as the positive lyrics are, the highlight of the record is truly in its shimmering harmonies. Karen V. Cavazos, Ross Vick, and Patrick Vick have such tremendous chemistry that they sound like birds in flight. Their singing soars, leaving you wanting for more. This is no corporate production; only real musicians with true hearts can produce music as utterly beautiful and emotionally uplifting as this. - Roger 'Red' Byrne-Freelancers United, Inc. The trio of TrueHeart (http://www.truehearttexas.com)- all siblings, by the way - must have been straight A students back in the day because everything on their new self-titled CD is produced to the highest order: the deluxe packaging of the CD, the untainted studio gloss, the flawless singing, the crystalline instrumentation, the delicious melodism of the pop hooks. It's a beauty from beginning to end, front to back, top to bottom. As I said goodbye to my grandfather, I remembered the times he used to sing to me as a child, his voice clear as water, embracing my ears with its warmth. TrueHeart's CD arrived the day that I attended his funeral. My heart felt heavy, aching with a deep-seated pain that felt as surreal as it was agonizing. I didn't feel like listening to music or doing anything at all. But I wanted some relief from the sadness. Thinking that I would just let it spin in the background, the first song on TrueHeart's album, "Ain't Life Great" left me in tears. Don't get me wrong; it's not a melancholy track. However, the completely pure and absolutely immaculate harmonies of brothers Ross and Patrick Vick and sister Karen V. Cavazos moved me profoundly. Here is a group that sings with an untainted love for pop and human existence itself. Is it so difficult to imagine, in these days of mindless violence and corporate greed, that a band as sincere and sweet as TrueHeart could exist? I spent the whole day thinking about what it means to be alive, and here was TrueHeart to provide a soundtrack to what I was going through. Critics often forget that we began as fans; our connection to music was initially not intellectual but emotional. TrueHeart is a group with no pretensions, no appetite for glamor, no tongue for pointless rage. Their tunes are pretty as falling leaves in the rain; their collective singing is chills-to-the-bone gorgeous. The entire LP reminded me of my grandfather, who always taught me to be positive. I cried the whole time I was listening to TrueHeart, but those were not tears of sorrow that I shed. It was the impact of being touched. Songs such as "Take Life" and the beautifully spirited rendition of Todd Rundgren's "I Saw the Light" will be treasured forever. Remember when driving was still a pleasure in the days before nose-to-tail traffic jams and urban congestion charges? You’ll be happy to hear, then, all is not lost. And all thanks to the elaborate harmonies, driving guitar solos and introspective lyrics that make up the heart and soul of The Road, the latest CD from American adult band, TrueHeart. With luxuriant yet pure production values, the emphasis is on the lyrics and melodies, comfortably completed by the vocal work of TrueHeart composer and lead singer, Ross Vick. The song fare of falling in and out of love and back in again is explored from different angles by this contemplative adult contemporary collection. Dealing with loss, pain and recovery are amplified with poignant arrangements so that as you hear and comprehend the words, the soundtrack to those images compliments the mood perfectly. This very much is an album with something to say. Beginning with the hopeful “Still Time”, The Road takes listeners along on a adventure where each track explores nooks and crannies of just getting through the day. Some tracks dust off old memories and ask the age-old question, “What is the meaning of life”? And others are looking forward to dreamy happy ever after endings while coming to grip with bittersweet realities. The final track asks the question “Where are you” – and leaves you wondering just who the “You” is. Great stuff, Ross! You make my heart sing because you are a living, walking, singing example to all of us that passing fifty is just the next step in life’s great adventure - if you want to live life out loud, that is. TrueHeart is based in Dallas, Texas. The Road is one deserving of a long serene Sunday drive. Get in the groove and check out The Road, TrueHeart and Ross Vick out at http://www.TrueHeartTexas.com . When I get a CD from a certain PR industry figure I get excited because I really never know what I will be reviewing. This next CD I put right on and it was as easy listening as a pina colada in the Solarium on a Royal Caribbean cruises. The leader and creator of Trueheart is a man by the name of Ross Vick from Texas. After 25 years in the toy industry Ross's wife urged him to find a new line of work. It was right there that Trueheart was born. Five years and four albums later here we have his biggest release to date, 'The Road.' Ross was even able to get famed engineer, Gary Leach, to help write & record this album. I would say that the magic was there. After listening to this CD a few times it becomes pretty apparent that Trueheart stays true to themselves and their sound. Like any real musician they know what works for them and their fans and they try to stay within those lines while creating new songs and melodies. I can appreciate that as a music enthusiast and journalist. This band is still considered an indie band. I must say that the packaging & production on the CD is far from indie. The booklet is very well done with pictures, lyrics, and paper stock, which is better for the environment. The sound quality is top notch as well. The CD was recorded at Rosewood Studios in Tyler, TX. My favorite sounding track is, "Still Time." Ross does not hold back in his songwriting on this album. He also covers many topics such as love, relationships, life, war, sickness, and much more. I found, "Goodbye" to be a deep and meaningful song with a message of loss. As for the hit song on this album I will have to go with the charts on this one. Track three, "The Road" is just the total combination of a hit song. Great melody, lyrics, and just a nice sounding song. TrueHeart: "Plan for Peace" Music Video 2008; Award winner of the Davey Award for both music video and editing. 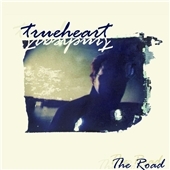 TrueHeart: Digital/Internet release "The Road" 12 track LP CD October 2007. TrueHeart: "The Rosewood Sessions" 4 song LP released in February 2007. TrueHeart: "I Heard The Bells" Single release November 2005: Available for free down load off website. TrueHeart: "TrueHeart" LP CD 2005, single "Find My Bliss" is received airplay on stations in Australia, Germany, Belguim, Scandanavia, France and Japan and the UK. Ross Vick Times Three: "Side of Grace"
TrueHeart's first single, a Ross Vick composition: “The Road” reached #25 on the MediaBase AC chart, #27 on Billboard’s AC chart and and #5 on the FMQB AC chart; it ranked in the top 100 on the year end MediaBase chart for 2007: The ONLY TRUE INDIE artist to do so. Originally released as a holiday single for 2007, “Plan For Peace” became an airplay champion throughout the first months of 2008; it ranked in the Top 40 on the MediaBase and BDS AC charts. TrueHeart arrives on CoolVibesRadio.com. Check out the September 5 podcast here: http://www.coolvibesradio.podomatic.com. TrueHeart has three full sets of originals and includes a sprinkling of covers when called for and alternates between the full band and acoustic tunes to keep it interesting, always remembering Bill Champlin said: "Music is only as fine as the silence it's compared to." Fork in the road, flip a coin: which way to go? Along the way I met a princess; don’t remember her name. Full of promise and compassion; to lose her would be a shame. Where Are You. . .
Where Are You . . . .
Lay Me Down . . .
And the things we keep on doing to each other . . .
We have some unfinished business . . . . .
Before I go insane will you tell me once again? Will it ever ring again? Will you still ignore . . .